Videos are the fastest way to emotionally connect to those you serve. 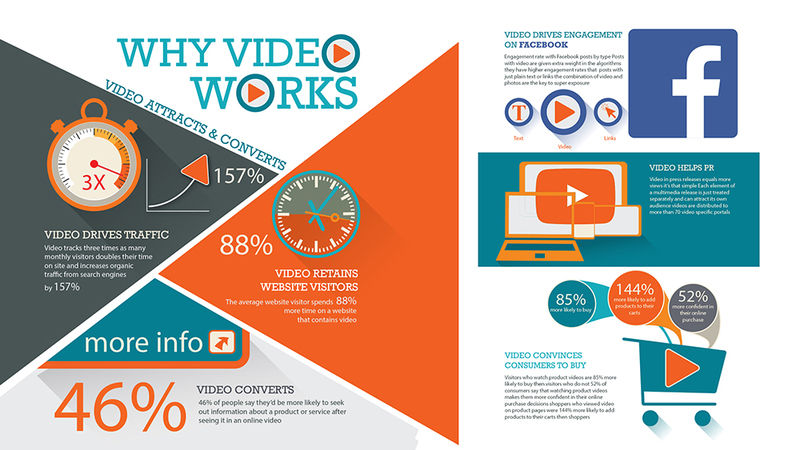 By using video to monetize your message, you will create more connection to your customers, which will ultimately create more revenue for your business. Through video production, we create inspirational pieces that reach your ideal client. From promotional marketing videos to client testimonial videos to how-to video production, videos are the quickest and one of the most effective ways to get a message to your customer. Of that 80%, 46% took some action after viewing the ad.